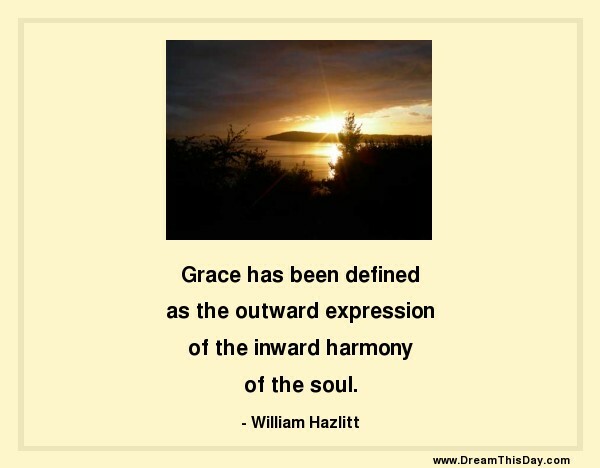 of the inward harmony of the soul. Grace defies reason and logic. Dear God, Please send to me the spirit of Your peace. Then send, dear Lord, the spirit of peace from me to all the world. Grace isn't just a little prayer you say before receiving a meal. It's a way to live.